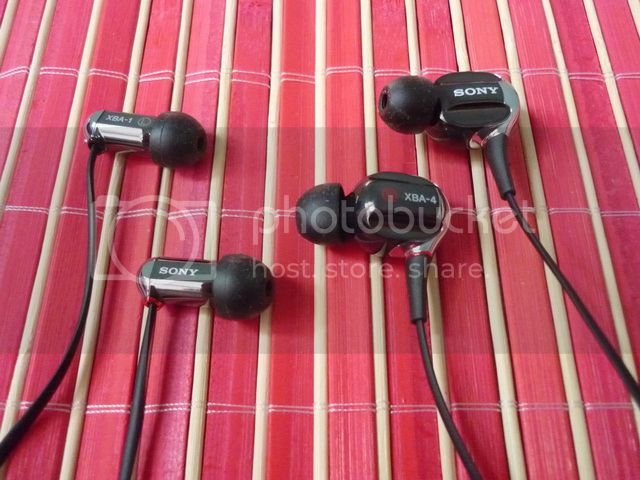 For quite some time after the success of E888 earbud in the late 90’s, Sony seemed to have quitted the serious earphone market and only interested in the consumer level products. 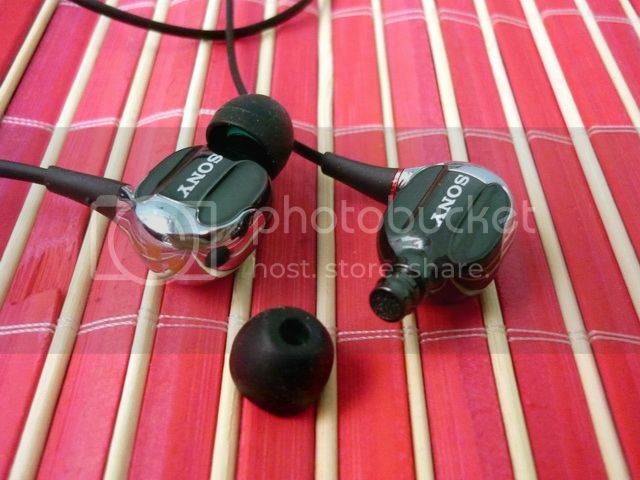 It isn’t until 2008 that EX700 marked the return of Sony to the higher end earphone world. But even so, their attention were focused solely on single, large diameter dynamic transducer based IEM (i.e. the EX series) and reluctant to venture out from their comfort zone. 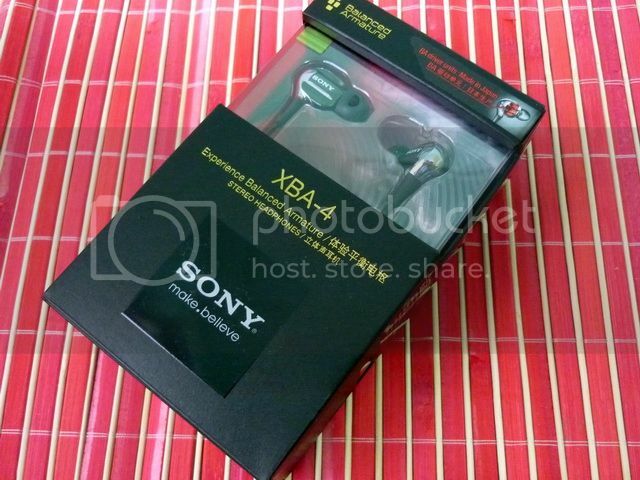 Thus you can imagine that it came as quite a surprise for many when Sony suddenly announced the balanced armature (BA) based XBA series about a year ago, which subsequently has became the main line of portable earphone for the company. 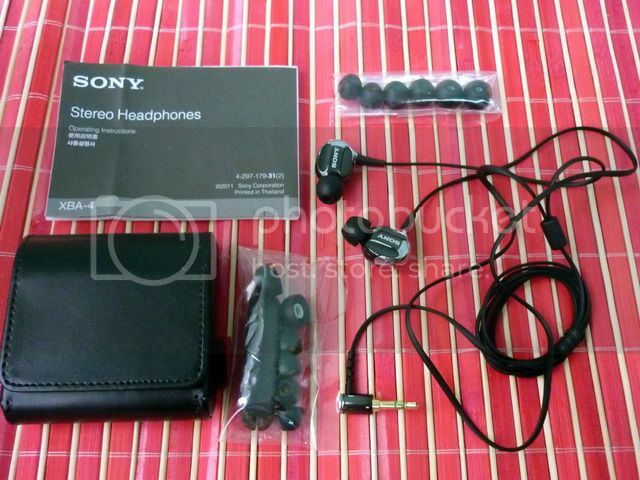 It is Sony so packaging is quite good, but it is more mainstream and less classy when compared to that of EX600 or EX1000. Same can be said to the accessories – XBA-1, being the entry model, comes with a soft pouch, 4 pairs of hybrid silicone single flange (XS, S, M, L), 3 pairs of foam filled hybrid (S, M, L) and a cable organizer. 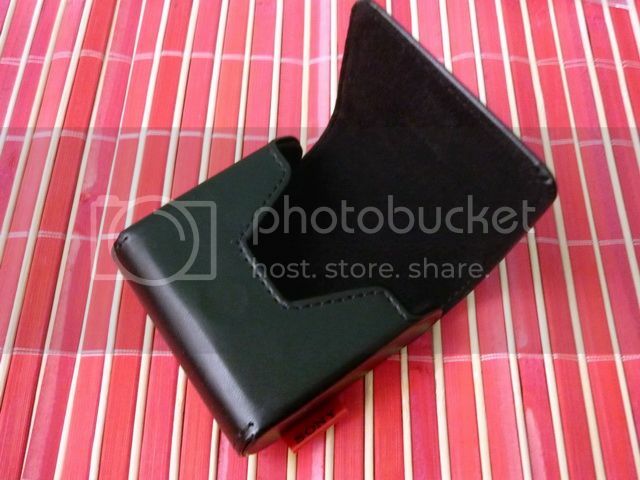 XBA-4, being the top model, comes with almost the same accessories except for a leather hard case. Though the leather is great looking and functional, it does look short compared to what EX600 has came with, losing some of the ‘premier’ feeling that is often found in Sony’s top-end gears. Build quality is excellent. Despite being mostly plastic construction and plastic chrome pieces on the outer housing, they don’t look cheap in between the contrast of silver and darkish metal color. The only real metal piece is the XBA-4 balanced armature magnesium mount inside the housing, but it is not visible from the outside. On the outside, XBA-4 looks a lot bulkier, but the rounded housing and its slightly angled nozzle still give quite a comfortable seal. XBA-1 on the other hand has no problem on seal at all. Isolation wise, both are slightly above average. Normal hybrid vs. foam filled. Both models use an oval shaping flat cable, which is thin enough not to be intrusive but still has a good degree of tangle-free quality. It functions better than a typical flat cable for sure. Do note that all of the XBA series come with asymmetrical cable (‘J’ cord) so it might not be to everyone’s liking. 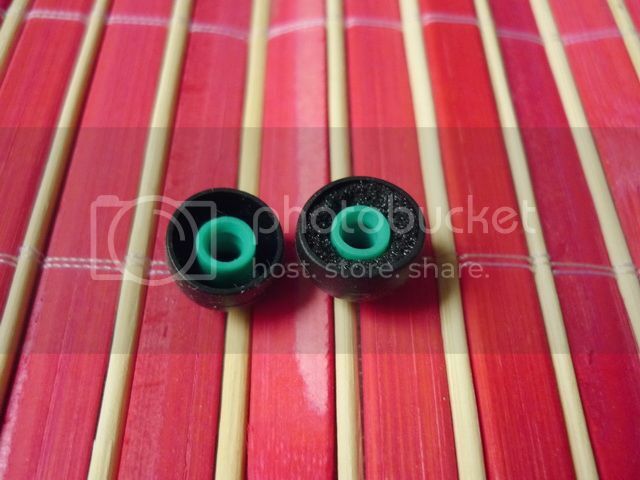 Both models can be wore over-the-ear if needed, but they are low in microphonics so it is not necessary to do so. As far as outer appearance goes, the XBA series looks really good. They still don’t look quite as glamorous as the top EX series from the same company – but the good news is, they are not priced as high and are more budget friendly than the top EX series. One thing that must be noted is the really low, 8 ohm impedance of XBA-4. This means it will draw much more current than your typical IEM. In fact, Sony puts a warning sticker on the side of the box listing about 14 different models of their own ‘Walkman’ series of mp3 player for not being compatible to XBA-4 - I assume this is likely because they are unable to supply enough current to the IEM, which could lead to distortion. The reason of such low impedance in the XBA-4 is likely because of its crossover-circuit--less design. Most multi-drivers IEM use crossover circuit to separate frequency range to different dedicated driver (i.e. 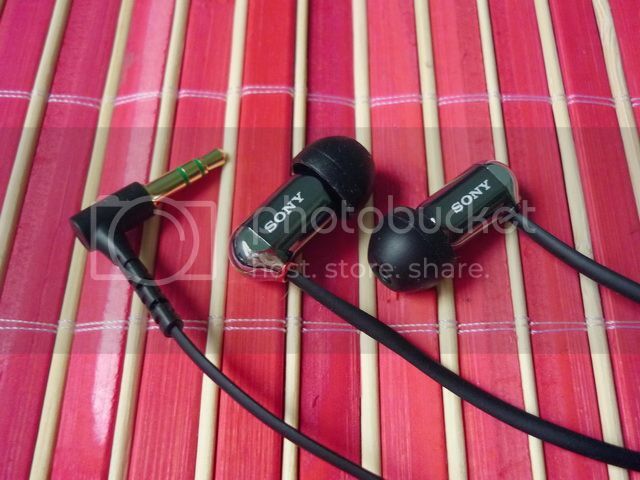 bass, treble, mid, etc), but Sony has chosen to do it the hard way by using mechanical crossover. This means each driver is mechanically tuned to have a specific range frequency response and all 4 drivers ‘blend’ their output together without the help of passive electronic components. The good side of this implementation is that it avoids all the negative of crossover circuit, such as phase issue and noise generated by passive components. However, it does have the negative of low impedance since all drivers are wired in parallel and result in higher demand on current supply. None is an absolute superior design per se, but crossover is probably an easier implementation from a R&D point-of-view. Then again, the Sony Japan headphone R&D team has always been known to venture outside of the box – I have to give them the credit for this as well. As far as real world application – any decent source with very low output impedance should do well with XBA-4. I used it with Sansa Fuze most of the time and don’t feel that the SQ has degraded by much. However, the overall presentation does become much tighter when paired with a good amp, especially in the bass region. On a smartphone that has a 5.5ohm output impedance (not a lot by any mean, but still quite significant to an 8ohm IEM), I can detect noticeable roll-off at both ends and a more mid centric sound. Not bad per se, but certainly not the best XBA-4 can be. That being said, you do want to pair XBA-4 with the right source for the best sound. Both models have been given at least 50 hours of burn-in before the review. No significant change was detected. The sound signature of XBA-1 can be described as a more mellowed and specious mid centric sound with slight roll-off at both ends. Calling it a mid centric sound might be a bit misleading without further explanation – XBA-1 isn’t very strongly mid dominant or forward at all (hence ‘mellowed’), just that the mid range is the strength of its overall presentation - good texture and detail, not particular sweet in tone but good in vocal. Treble is decently crisp and clean, but rolls just a tiny bit off on the very top of the spectrum, over the 16kHz region. Bass extends decently low, but slowly rolls off in the sub-bass region. It is decent in quantity, but nothing that will appeal to basshead. The ‘visual’ reference of the frequency response will be best described as generally flat in the mid but tapered off at both ends. Soundstage is actually quite good since the overall presentation is a bit on the more mellowed and laid back side, which give a lot of space. As far as the whole presentation goes, XBA-1 is the kind that does nothing wrong, but also nothing spectacularly well. As a single BA, the level of performance is still very admirable and definitely some of the best among sub-$100 single BA. The sound signature of XBA-4 carries the same mellowed mid of the XBA-1, but with a strong bass and better extended treble – warm, decently sweet, full bodied yet still good in soundstage. Bass reaches down to 20Hz easily, but deep end rumble isn’t very obvious due to the equally strong mid-bass region that gives more body than roar. Mid, as said, carries the same mellow’ish presentation that has good texture and detail but not particularly upfront. Treble extends all the way up and offer good sparkles and crispiness, mainly as a supporting role in the whole presentation rather than standing out as an element on its own. It can however sound a little metallic when the volume is turned too high. The good news is that it doesn’t have any sibilance issue at all, making it the first top-end Sony since EX700 that isn’t plagued by over-brightness and actually sounds rather smooth. Soundstage, like XBA-1, benefits from the same mellowed and laid back tuning and actually is pretty good as well. As a quad BA, XBA-4 technically isn’t quite as strong as other quad like the Westone 4 (which is almost US$300 more expensive). However, XBA-4 offers a very unique tuning of its own - reminiscence of a closed-back circumaural that is smooth, relaxing, and often musical – hours and hours of listening can easily go by without any stress on the listener, and that’s the strength of XBA-4. Here are a few notes that seem to be shared between XBA-1 and XBA-4. If you haven’t noticed, is that the mention of mellowness in the presentation of both IEM. This is partially due to a slower than normal sense of speed/attack and longer decay when compared to typical BA. They are more ‘dynamic transducer’ like, so to speak. 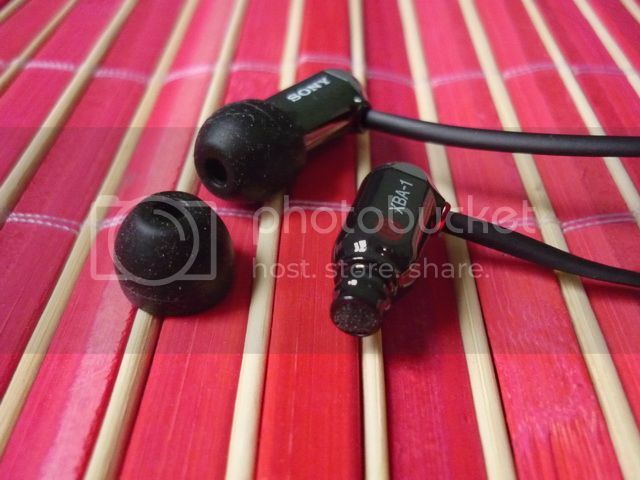 Another reason is that neither IEM is particularly upfront. The added space gives a good impression of soundstage, though the mellowness doesn’t make the presentation very 3D. All in all, the two XBA share some interesting traits of dynamic transducer and quite unconventional to the BA world. Not bad per se, just that those who are used to the typical BA’s fast pace might not fall in love with the XBA in first listen. 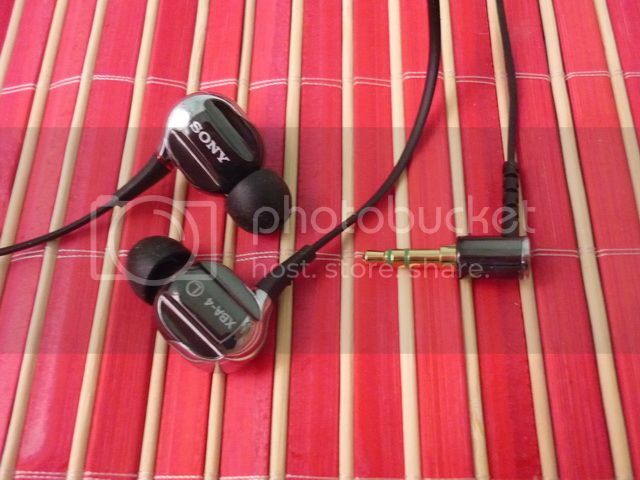 Overall, I have to say Sony makes a strong entry to the balanced armature part of the IEM market. 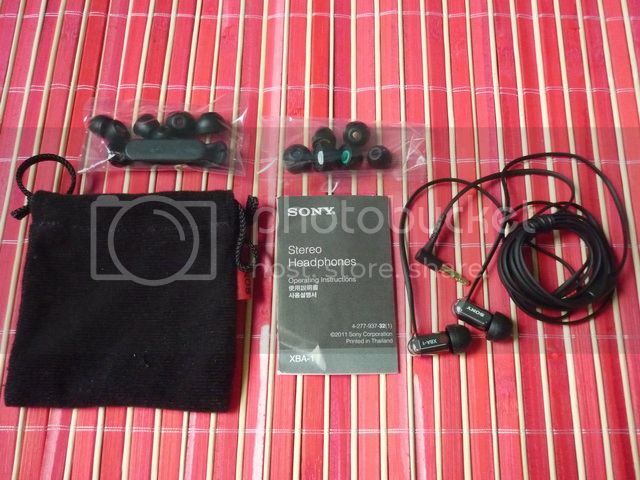 Granted the tuning is vastly different from their EX series of top-end dynamic IEM even though they are both produced by Sony Japan. I have to say I do enjoy the smoother sounding XBA series more than the edgy EX series as a whole. The same probably would apply to many who are reluctant to pick up a Sony IEM in the past due to tale of sibilance issue associated with the older models. In the view, the change is for the better – and hopefully it will be so for the future XBA as well. 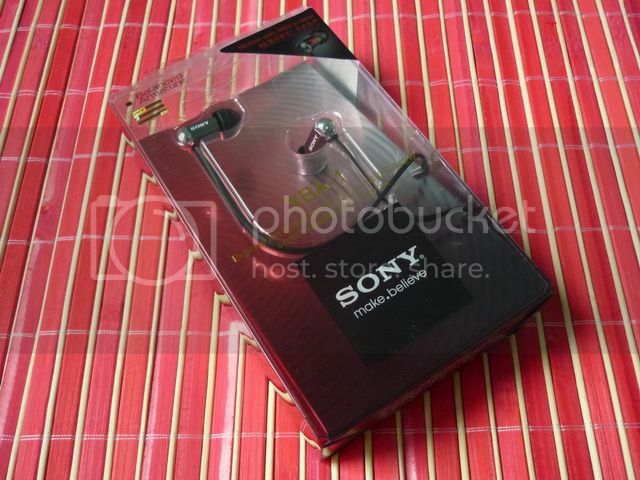 *Big thanks to Sony Malaysia for the XBA-4 sample. For numeric rating, please check out The List. p/s: Sony just announced last month (which is just about a year after the original XBA announcement) about the new addition to the XBA series, namely the XBA-10, XBA-20, XBA-30 and XBA-40. The spec and MSRP seem to be identical to their corresponding original XBA-# models and most of the changes look to be mainly superficial or cosmetic at this point. One early impression from the web does suggest that the XBA-40 is better sounding than XBA-4, but it is still not enough to say anything in certainty for now.